My cats would give five thumbs up if they had thumbs. KittiChase is super-fun times! 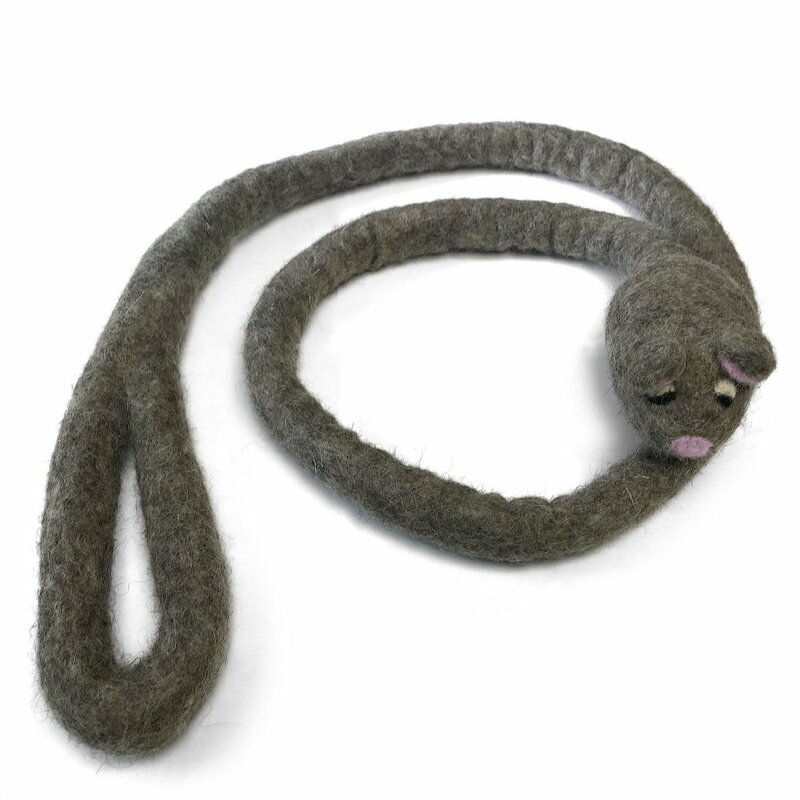 It’s a long-bodied, mouse-faced, chase-toy for cats! 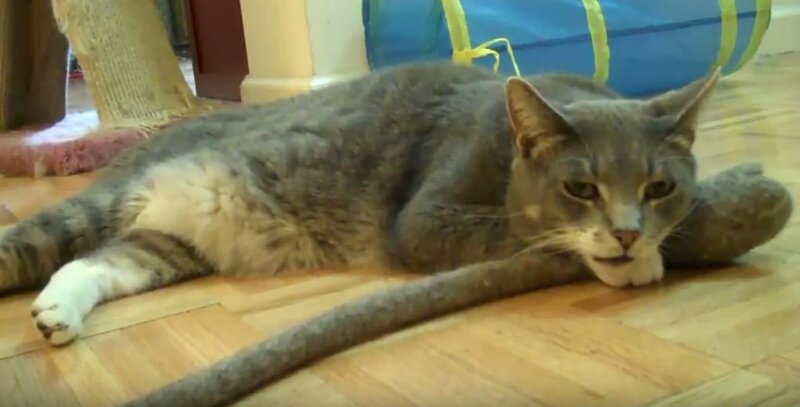 Then I put cat nip all over it…. Oh, and then the games began! Jumping, clawing, chasing, then running away from the twisty KittiChase. Whiskers really hogged it. Have you ever seen a cat smile? Well, Whiskers smiled as he lay repeated attacks on KittiChase. If a mouse with a really long body ever came into my home, let’s just say I won’t worry. Made with all-natural wool, totally non-toxic, handcrafted by artisans in Nepal, KittiChase is a durable, and eco-friendly toy that will bring your cats too much fun! 1. It makes my cats soooo happy. 2. It’s not a disposable cat toy. KittiChase will last forever! Handwash cold, and it’s ready for more. 3. It’s made of tough stuff. It’s like a dog toy for cats. My cats really go to town on their “prey”. Maybe it’s their rough and tumble street cat background…. 4. It’s a versatile toy to suit all levels of play. Some of my cats are old, so they like to bat it around in the air. One cat is very small, so she likes to hide in a box and attack from there. The other guys chase it around the room like crazy! 5. It has a cute mouse face! And no two are alike! You can order your own KittiChase toy on Amazon, and I highly recommend you do!